Hazards Explored - Encountering the truth:State of minnesota v. phillip morris inc. The number of smoking adults peaked in 1954 partially due to the addictive qualities of nicotine, a chemical in tobacco. That same year, a publication on prospective mortality linked cigarette smoking to lung cancer. Additional independent, governmental, and private tobacco-industry studies began exploring connections between tobacco and lung cancer. The first Surgeon General report on smoking in 1964 confirmed many of the dangers of cigarette smoking. 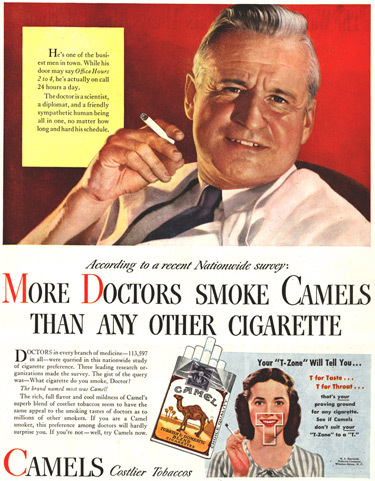 Tobacco manufacturers responded to the health reports with counter-advertising campaigns and by manipulating research. 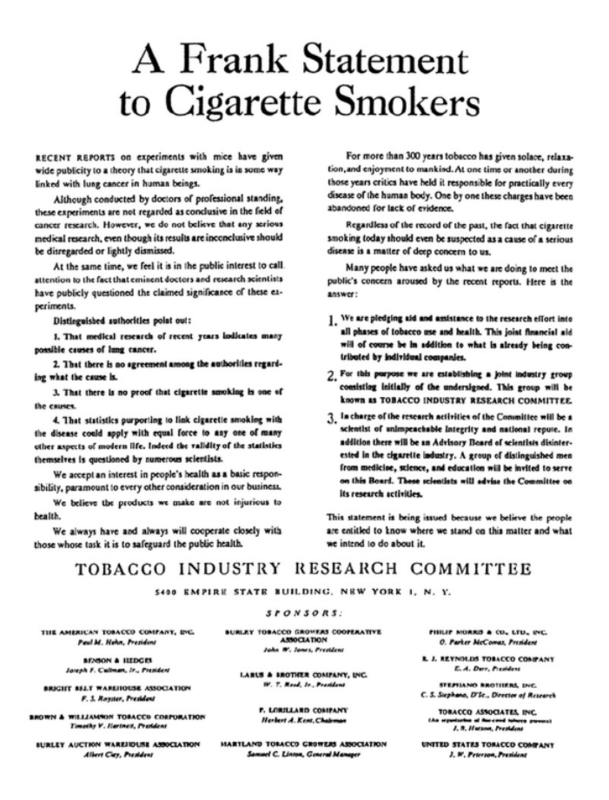 In 1968, a Phillip Morris memo described a so-called “Gentlemen’s Agreement” in which the manufacturers agreed to suppress independent research on smoking and health. In one instance, a R. J. Reynolds research project found a connection between smoking and emphysema. In response, the company disbanded the project and fired twenty-six scientists. The company’s attorneys concealed the research. 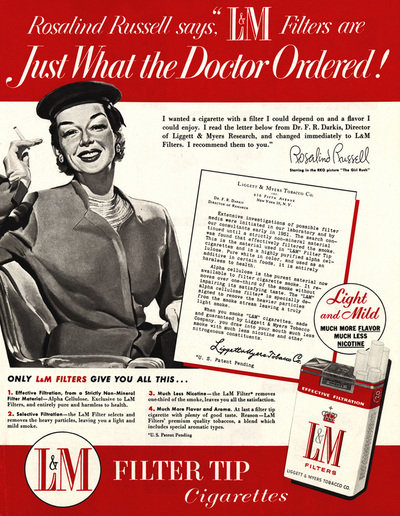 Manufacturers also tried developing safer cigarettes. 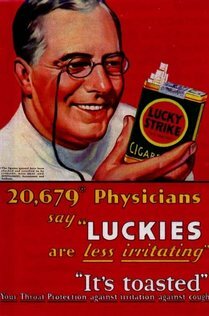 These were never marketed, mainly because creating a “safer” cigarette would imply that cigarettes currently on the market were unsafe. The matter became a jumble of conflicting news reports, advertisements, and medical studies.